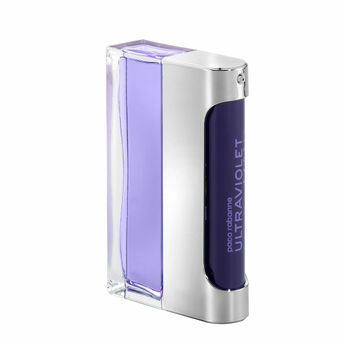 An interesting masculine fragrance, Paco Rabanne presents Ultraviolet Man Eau Toilette with bold and distinctive aromatic woody and oriental notes. Created for a new generation of men, this sensual fragrance in a unique bottle design is truly an object of desire and a new weapon of seduction. Based on the rare mineral ambergris, this fragrance has woody-amber undertones blended with liquid mint, organic vetiver, and moss crystals. Explore the entire range of Perfumes (EDT & EDP) available on Nykaa. Shop more Paco Rabanne products here.You can browse through the complete world of Paco Rabanne Perfumes (EDT & EDP) .Alternatively, you can also find many more products from the Paco Rabanne Ultraviolet Eau De Toilette range.